Having written yesterday’s blog I was nervous that we would have jinxed the weather by mentioning it had been raining – fortunately the overcast, wet and relatively cold conditions continued throughout the day and it immediately had a positive effect on the fishing across all of the camps. Kitza is really firing now and the 8 rods landed 74 for the day. David P had a superb days fishing and accounted for 19 of these whilst Chic McS weighed in with 13 and Julian P had 10. They were joined last night by one of the rods who had to cancel at the last minute and who has made an Herculean effort to get here so we just hope that the next two days of fishing make his trip worthwhile. 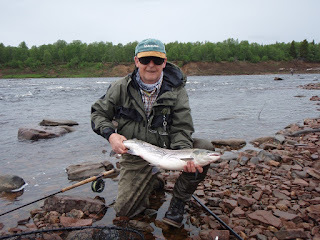 At Lower Varzuga we had a much better day and it was great that the rods finally had a chance to see how good this beat can be given anything other than extraordinary conditions. They landed 41 fish with Peter M landing 9, Howard E with 7 and his fishing partner, Stephen B taking 6 for the day. 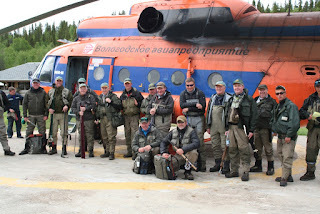 Despite the excellent fishing yesterday we had already taken the decision to fly them all out today to a stretch of the river above Middle Varzuga where they have taken a huge picnic and will be there all day. All of the rods bolted breakfast this morning and were ready beside the helicopter at 9am sharp for what should be an excellent day. Middle Varzuga recorded 76 salmon yesterday with catches spread evenly across all of the rods although Hugo M just came out on top with 9 fish to his single handed rod. 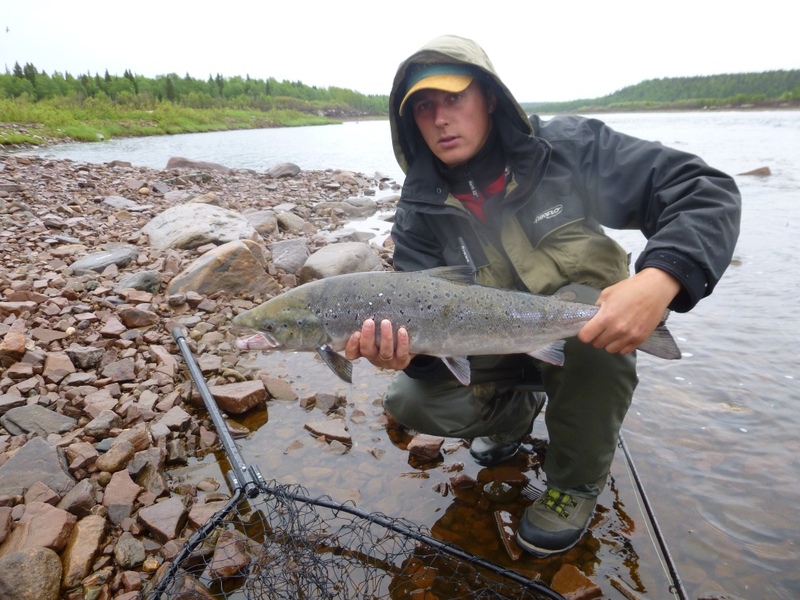 It is remarkable to note that as of yesterday, 2,000 salmon have been landed from Middle Varzuga in just over 3 ½ weeks– truly an exceptional stretch of fishing. Pana continues to fish well and they landed 32 yesterday with Barrie W taking 9 from the Home Pool. Jean and Keith H did the float trip and had an excellent day without landing the numbers that we had anticipated. 4 fish between them was a good day out but there is no doubt that, before too long, the numbers being landed from that float will rise sharply. We still have cloud cover and it there was a bit of a chill in the air this morning – very welcome indeed and no one was complaining about having to put on an extra layer. More tomorrow when I hope to be able to report on an excellent “away day” for our team here along with catches from other camps that will no doubt be helped by these more favourable conditions.